I recently got an iPhone and have been looking for the prefect protective case for it. I was interested in finding a hard-core heavy-duty case to protect it from my heavy use. I came across Lifeproof at the outdoor retailer show and thought they would be a perfect case to try. LifeProof’s CrystalClear double anti-reflective (AR) coated camera-grade glass lens delivers the sharpest eight megapixel images possible, with perfect camera flash operation. LifeProof’s ClearVoice system takes full advantage of the iPhone 4S microphone and Siri voice activation while in the case. LifeProof’s patent-pending Sound Enhancement System (SES) improves the bass and mid-frequency speaker response by utilizing the back of the case as a sub-woofer for a richer, fuller sound. 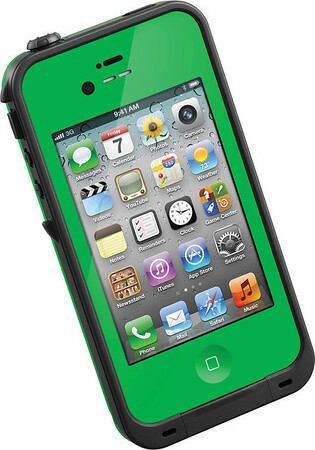 LifeProof ensures the optimum performance and reception of the iPhone 4S dual antenna design. LifeProof’s ultra-flat screen protector makes operating and interacting with the iPhone 4S highly responsive without the need of a separate screen protector. Unlike other cases, LifeProof’s open screen face allows unrestricted sweeping hand gesture interactions, compatible with the new features of the iOS. I have been using a lifeproof case on my phone for about two months now. It has created the perfect amount of protection that I have needed while not hindering the features of the phone that I use. In this review I want to go over a few things, waterproof/dust/shockproof features, slim and sleek design, camera grade glass, and the armband and bike mount accessories. 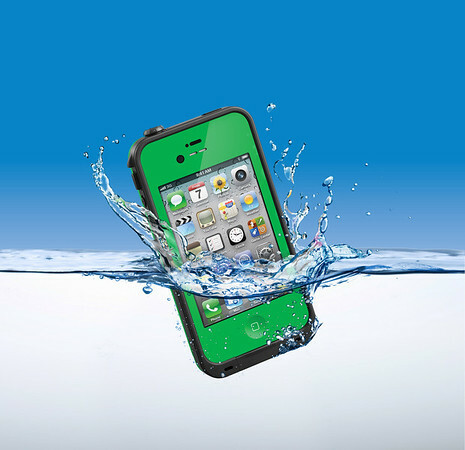 The Lifeproof case provides optimal protection from water and drops. The polycarbonate frame is the main part of this case that absorbs the shock. There is also a elastomeric inner-layer that also absorbs shock. Waterproof seals are on all the ports and openings; it has an O-ring to protect the phone for water. It is really nice to have the ease of mine that nothing terrible is going to happen to my phone if I drop it. My boss got here new iPhone 5 a few months ago and hasn’t put on a protective case hers and she cringes every time she drops it. I have had many friends shatter their screens on their phones from drops, this just gives the peace of mind I need. I love the freedom of being to be able use my phone wherever not having to worry about dropping it in water or getting it dirty. I use my phone while I am in the hot tub, in the pool, and in crazy dusty environments. Last month in March I visited the Holi, Festival of Colors. This is a super crazy environment for electronics and such. Every hour they throw colored cornstarch in the air so it creates a crazy dusty environment. Most smart people put their phones in plastic ziplock bags, but many people don’t. I saw a lot of people using their phones just open with no protection. I even saw some of my friends not able to use their phones because too much dust had gotten inside. My phone was fully protected, when I took off my case later to see in anything had gotten inside, I found zero dust inside the case. This case give overall some of the best protection for you phone on the market. The Lifeproof case is extremely slim an super sleek it doesn’t add very much bulk to your phone at all, when measured from the center of the phone it only add 1.5 mm to the size. Before I got the Lifeproof I had an Otterbox on it. Although it created really great protection for the phone it made it super bulky. I have been super impressed with the difference in weight between those two cases, with the Lifeproof on you can’t really tell the difference in weight. A couple times a few people have asked me how did you get a green iPhone, not realizing that it was a case So it cool to see how slim the case is made. I am an Instagramoholic, taking pics with my phone all the time. It has been really awesome to have a case that doesn’t affect the image quality from the camera. The double anti-reflective coated camera-grade glass lens provides crystal clear images. You can take the case up to 6.6 ft underwater so you can get some fun images. I got some super cool pics while I was at the festival of colors too, so its great not to worry about dust or water while taking pics. 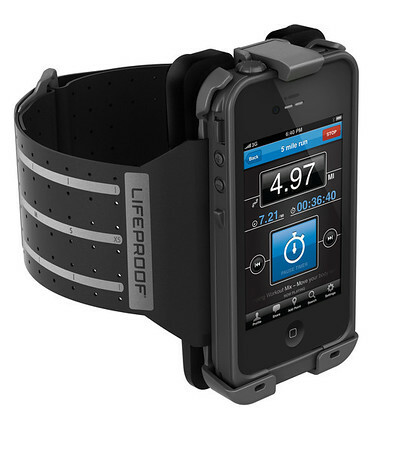 There are lots of cool accessories available for the Lifeproof. The main two I have been using are the armband and the bike mount, with mainly being the armband. The armband has been great for going on hikes and working out. It has a quick release for easy access of the phone. It is easily adjusted for different arm sizes. 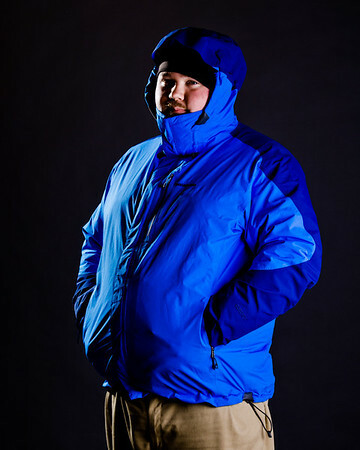 If is fairly comfortable compared to most, it has a good amount of padding which is really nice. The bike mount is great. It works really well. I actually found another use for it. When I am not using it on my bike I use it in my car on my cup holder. It has been great to use my iPhone as a GPS and music player no hands access is great. You can use the mount like a GoPro mount for you iPhone to take video while on your ride. I have also been using the dock adaptor too. Without it, you have to use the apple cable that came with the phone. When I go to the gym its great to be able to plug in the phone at the treadmill so I can listen to music while working out while not worrying about power. I would defiantly recommend this case to anyone looking for amazing protection for your iPhone. It offers great protection from water, drops, and dirt while not hindering the features of your phone.